Move over Beyonce, I’m coming through. This week, a few friends and I felt that singing alone infront of the mirror with our hairbrushes out just wasn’t enough. 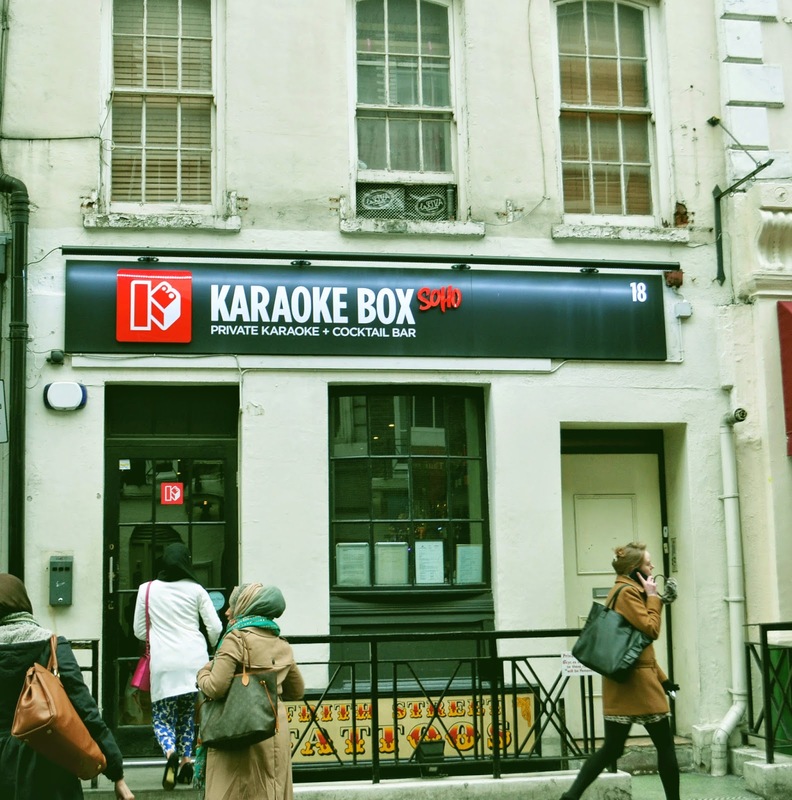 We needed to stretch our vocals and give ourselves the spotlight that we actually deserved and so there was only one place for it – Karaoke Box (Soho). 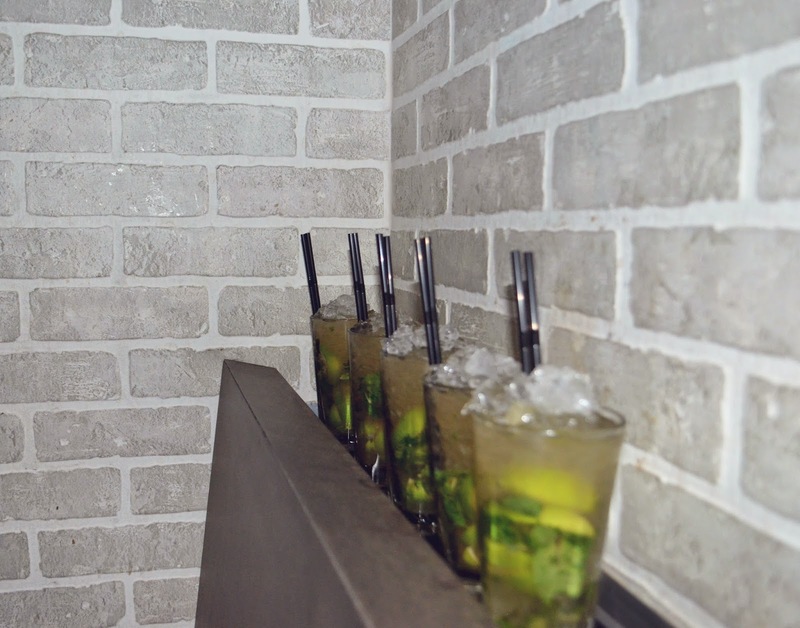 Located on Frith street, this specialised karaoke bars is one of the most frequented in the area. What’s even better is that you can book your own private rooms so you can sing til your heart’s content without having to worry about the cute guy in the corner thinking about running far far away. That being said, you will of course have to book in advance to ensure there is a room available for you. We were a group of 5 so we got the smallest room. The rooms are all blacked out with seating along the sides. It was comfortable however if there were any more of us then it may have gotten pretty cramped. There’s a doorbell fitted so you can order cocktails whilst you sing your hearts out. They do have mocktails available as well as pizzas and other small snacks. It might be worthy to note that there were no windows in the room. Great for stopping any screaming singing from escaping however it can get quite stuffy. On one of the walls there are two built in screens. 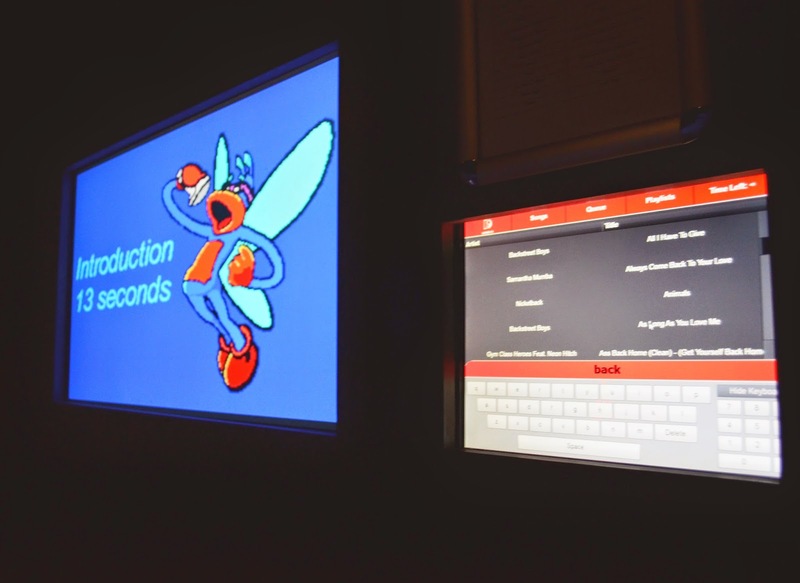 The first and slightly larger screen displays the song words. The words light up as you’re supposed to sing them; embarrassingly, this took us a while to figure out before we were able to start singing in time. The smaller screen is the catalog of all the songs they have available. Karaoke Box boasts over 12,00 songs and it really was great that there was such a huge mix of songs. The catalog is touch screen which is also handy and very easy to use. You’re able to search whatever tickles your fancy and create a playlist so that the songs play one after the other without you having to get up and fiddle about with it every time. One of the down sides however, was that we only had two mics. Luckily we’re all pretty good at sharing and there was no mic hogging. We were all pumped and so excited at the prospect of all the possible songs we could sing. who knows maybe if we were all harmonious, we could even set up a girl band. Why the heck not! Well, I’ll tell you why not, it turns out that actually not a single one of us can sing. Not only do we lack the one thing you need to be able to sing (a decent voice), it turns out most of us also make up half the words to the songs we love and listen to over 100 times. Hands up, who else thought Taylor Swift sang “Starbucks lovers” in blank space. Just me? It doesn’t matter if you are a bathroom singer or an accomplished one; this place is meant for all music lovers. It really was a fantastic night and I would definitely recommend it to anyone who’s up for a giggle with their friends.